Losing a beloved animal companion is one of the most difficult things a pet parent can go through. Whether it’s sudden or expected, the grief that comes with the passing of a pet is both intense and unpredictable, similar to how one might grieve the passing of a dear friend or family member. 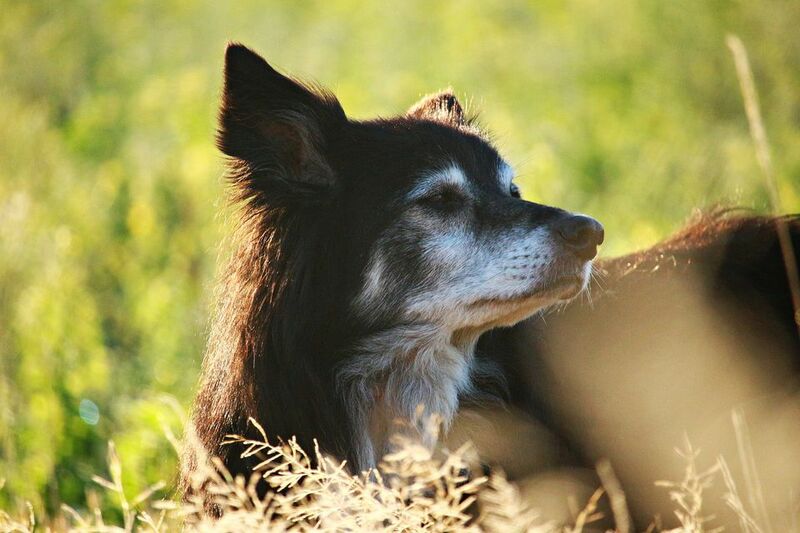 And while it may seem wholly unfair that our pets’ lives are often so short in comparison to our own, the best way to honor a pet who has crossed the Rainbow Bridge is to celebrate their spirit and their memory. Here are seven heartfelt ways to remember a lost pet. A memorial service is an opportunity to bring together the people who meant the most to your pet (and/or the people who mean the most to you) and talk about what made him or her so special. Consider holding a memorial at your pet’s favorite park or even just at your home, if that’s where they spent most of their time. Ask people to all share at least one memory of your pet, and take the floor yourself to talk about how much your pet meant to you and what your favorite things were about them. Taking an hour or so to come together and honor your pet can bring a lot of comfort during the early stages of grief. Your pet brought so much to your life—consider making a donation in their memory so that another animal can one day do the same for someone else. You may want to donate to the shelter you adopted them from, or to a cause that resonates with you, such as an animal cancer foundation if your pet passed away from cancer. Many shelters will even allow you to sponsor one of their residents, paying a monthly fee of your choice toward their treats, toys, and medical care. Taking money you would have spent on your pet and putting it toward other animals will help turn loss into more love. Gardens signify life and continued growth. Plant a tree or flowers in honor of your pet, or make or purchase a garden stone with their name etched into it and place it in an existing garden. Some people even choose to use their pet’s old food or water dish as a planter. You’ll be reminded of your pet whenever you see your garden, and it’s a way to establish further life out of another life that has come to an end. There are plenty of artists who specialize in creating gorgeous works of art from a pet’s photo. If you're unsure where to start, try searching on Etsy, Instagram, Facebook, and even a general search on Google will do the trick. Generally, you’ll be asked to submit between one to five photos of your animal companion, and from there, the artist will make you a custom piece. Choose from oil paintings, prints, watercolors, sketches, and more, or even opt to have your pet crocheted onto a throw pillow or screen printed onto a blanket. The options are endless, and allow your creative freedom to really revel in your pet’s unique personality and all they brought to your life. If tattoos are your style, then a tattoo of your pet’s name, face, or just something that reminds you of them (such as an image of their favorite toy or food) is a wonderful way to commemorate them. You’ll know that even though they’re not physically with you anymore, their memory will be with you wherever you go. Chances are that you have hundreds of pictures of your pet. So why not put them all into an album that you can grab whenever you need to? You can design and order a photo album through various online sites, or you can go the old school route and create your own. In addition to images, you may also choose to include quotes that bring you peace and stories about your time together that you never want to forget. While the thought of going through this type of loss again one day is daunting, sometimes the best way to honor a pet’s life is to give another animal the opportunity to experience the love that they did. Adopting a new pet won’t replace the one who you lost, but it will inevitably bring more joy back into your days. Plus, there’s nothing better for the heart than the knowledge that you’ve saved a life. Don’t rush anything, though; if you’re not ready to adopt again, that’s okay. Instead, you might want to start volunteering at your local shelter. You’ll get the cuddles and kisses you’re missing without having to make such a huge commitment. There’s no right way to mourn the loss of a pet. Let yourself grieve how you need to, but do try to take active steps to not just remember them, but to celebrate their life and all of the time you spent together. Take solace in knowing that while your pet may be irreplaceable, they will live on forever in your memory. 9 Ways Your Dog Can Practice "Self-Care"